Named one of the top art festivals in the country, the Lakefront Festival of Art is a fine art showcase on the shores of Lake Michigan. This three-day fund-raising event has evolved from a gathering of a handful of artists in 1963 to a vibrant, wide-ranging festival that attracts close to 30,000 attendees and more than 180 jury-selected artists from across the nation. In 2018 marketing and media coverage accounted for a total of 16.3 million impressions with social media posts reaching LFOA Facebook friends, 69K Milwaukee Art Museum Facebook followers, 20K Milwaukee Art Museum Instagram followers, and 48K Twitter followers. The LFOA website saw 76K page views, with 22K unique users, and 64.2% new page visitors. A total of $10,500 in awards will be presented. Ten awards of $1,000 each to be given where excellence is determined by the jurors. The remaining $500 is awarded to the winner of the Sculpture Garden media/category. Awards are based on the artist's entire presentation. 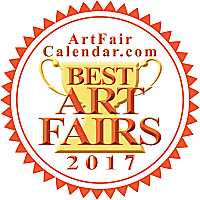 The top ten award-winning artists are invited back to LFOA for the following year without jurying. Jurors will also select Honorable Mention award winners, all of whom are invited back to LFOA for the next year without jurying. LFOA typically receives roughly 1,000 applications for up to 200 booth spaces. Approximately (25) of those spaces are reserved for artist advisors, past award winners (selected by the previous year's jurors), the annual poster artist and the design award competition winner.